Bring the family for a short break to explore all the various attractions and entertainment on offer in town all the while making our large family room your ‘home’ from home. There’s plenty of space for the kids and their buckets and spades for when you wander down to the inviting sandy sea shore, which you can see from the huge windows. Wander down through the pretty Manor Gardens and indulge in all that a sea side holiday is about, fish and chips, ice cream and good old fashioned donkey rides. A good night’s sleep after a delicious in-house dinner and maybe a quick night cap in the bar will leave you ready to tackle another exhilarating day. A favourite room for wedding guests or even the Bride and Groom after a day of celebrations and partying. Collapsing on the comfortable bed to relive the memories of the day or watching the sun set over the ocean in the comfort of this spacious room. Indulge yourselves and stay a little longer than planned as everyone arriving in town will discover how much there is to see and do, to explore and discover. 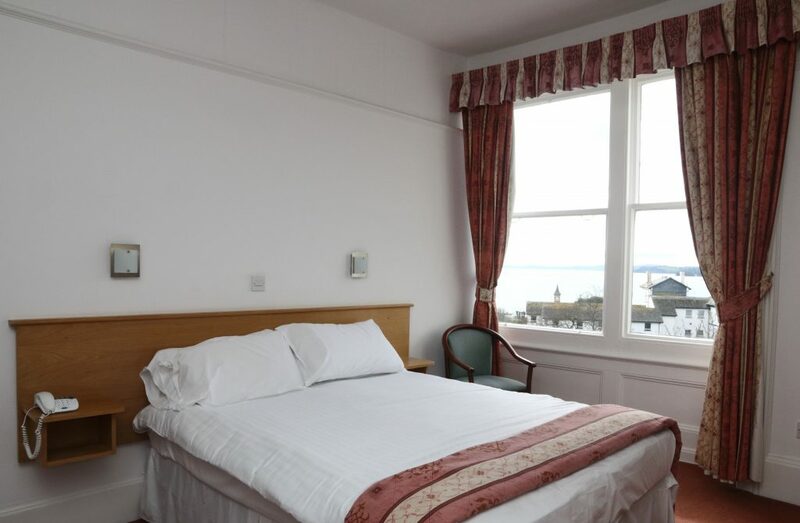 This newly refurbished superior room benefits from an impressive bay window and far reaching views across the town. Relax on the sofa with your cup of tea and let the day’s experiences sink in. Bring a friend or a child and there’s enough space for a bed for them too! We have added a generous ensuite walk in shower to make accessibility easy and comfortable. 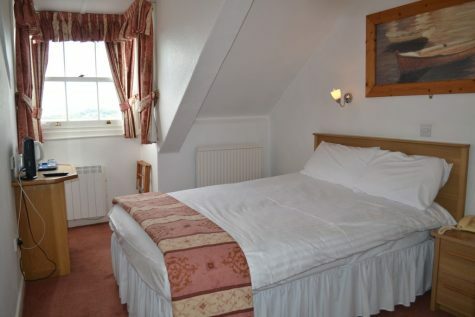 A couple getting away from it all to maybe take in a show at the Pavillion or to hike the Exe Estuary trail would love this cheaper option room. If you aren’t going to be spending a lot of time in it, why need the space of our Superior option? This room has all the extras of tea and coffee and comfort, just in a smaller space yet still with a glimpse of the sea. Grab a friend and book in for an action packed visit to this busy town. Sharing a room makes for fun evenings and sharing stories with whomever you have chosen to bring along. We all lead such busy lives that there’s nothing better than special down time spent together with that close friend. We can even arrange for a bottle of bubbly to be awaiting your arrival, in your room. Heading off for a break with a girlfriend or treating your daughter to a few days away can be such a special time. Sharing a simple twin room is just the answer for making the precious time together even more memorable. There is no need to spend big bucks on a large room if you are planning on being out and about seeing the sights or challenging yourselves to undertake an activity that pushes you out of your comfort zone. A twin room means cosiness with a little bit of personal space added. Wanting some space and time away from the stresses and noise of work and life in general? This is the room for you. 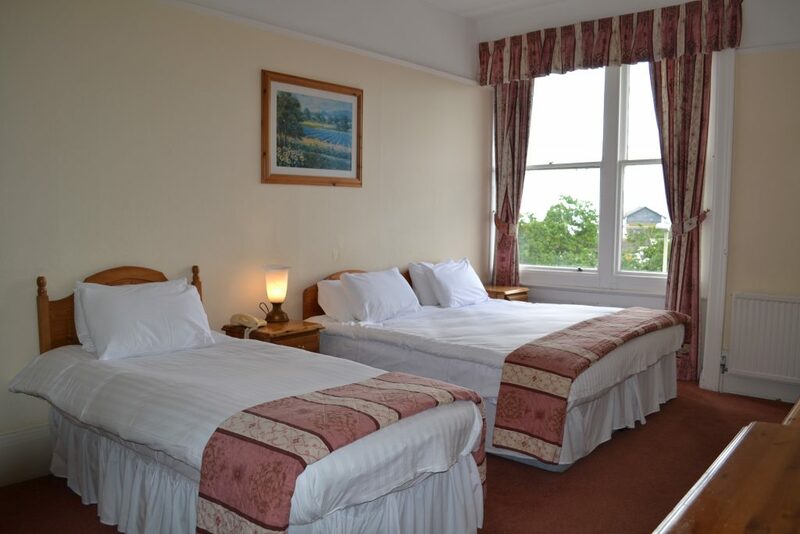 Cosy, up in the eaves of the hotel with spectacular views across the estuary or bay and although billed as a single room we have treated you to a double bed. 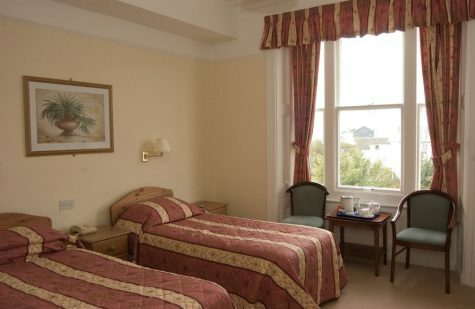 Traveling on business can be a tiresome duty but what better than a budget price room with a comfy double bed tucked away in the peace and quiet of the top floor of the hotel with sky and roof tops to look over. A young athlete competing in his or her sporting fixture, which Exmouth seems to excel in hosting would also love this hideaway. Cosy and functional. 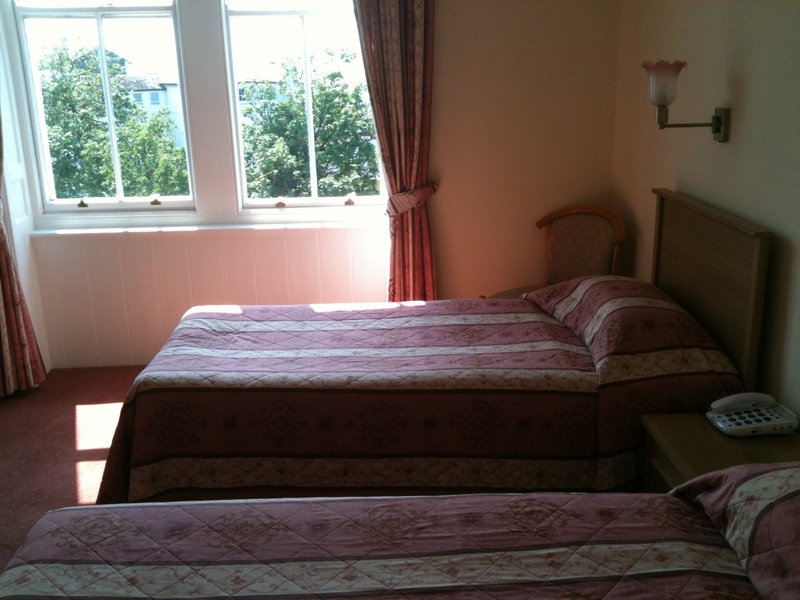 A few of our rooms are available to guests with well behaved small dogs at £5 per night. If you want to make a reservation with a dog you MUST telephone the hotel directly. No Deposit Required but a valid Credit Card is required to confirm the reservation. Cancel by 2pm at least three days prior to arrival to avoid a one night charge. If guests don’t show up they will be charged the total booking price. This is the cheapest price option. The guest’s credit card will be charged the total price at time of booking. Guests will be charged the total price if they cancel anytime.